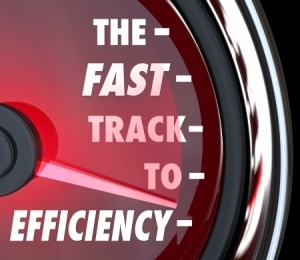 Efficiencies and savings are two of the most important things for every successful business. Businesses are trying to reduce expenses and invest in technology for greater operational efficiency and productivity. Inventory management software is a key area of investment so business can access real-time intelligence that help in making better decisions. Inventory management software can enhance productivity and efficiency by saving time and money. Avoid buying inventory more than you need as overstocking can tie you up with more cash. High inventory levels leads to poor turnover, high costs and loss or damage to inventory. With automated inventory management, business can perform their operations efficiently and effectively. Effective Inventory management is crucial to the overall success of the business. Manufacturers and distributors can take control of inventory-driven costs that occurs due to large inventory levels. Real-time access to Inventory levels lets you identify short stock, slow moving stock, optimize inventory levels, increases revenue, accelerates decision making and most importantly helps keep customers happy. Manufacturers can easily address product demand volatility and supply chain complexity. With inventory software, you can keep track of all your products moving in and out of your warehouse. Knowing exactly where and how much inventory you have at any time lets you to make better purchasing decisions. Reduce your unwanted inventory investment by analyzing demands and trends of each product. Proper inventory management software with greater visibility across the supply chain will help you to maintain dynamic stock levels making you to take faster and better decisions to improve cash flow and generate profits. Inventory Management with manual entry or excel spreadsheets can be time-consuming and error prone. With the help of Inventory software, all the products, customers, vendors, orders and pricing can be easily managed and tracked efficiently. In addition, picking and packing process can flow through one seamless system that integrates with QuickBooks. It also provides the opportunity to know exactly what is selling. Your team has information at their fingertips and thus are not chasing down orders or stock information all day. Employing best practices in supply chain management helps the business to provide a better customer experience. Stop overselling stock, instantly know order status and tracking information and give customers the direct access to their order so they stay informed without the need for staff assistance.